Waist trainers have been fashionable in the past and still are today. A waist trainer reshapes the midsection by altering the positions of fat and water weight to give the effect of a slimmer body. Moreover, the undergarment accessory corrects the posture by forcing the wearer to sit, walk and stand with the back in the right position. Users significantly relieve the intensity of their waist and backaches. Can Men Also Use Waist Trainers? How To Choose The Right Waist Trainer Size? 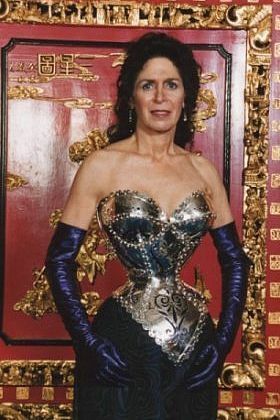 When looking back at the history of waist trainers, it is important to note that both waist trainers and corsets are manufactured to provide the same results. But, the term waist trainer refers to the cincher category whereas girdle refers to the lace-up collection. 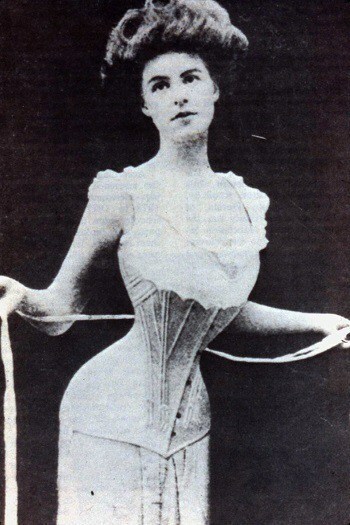 Although the actual origins of waist trainers are unknown, the items go far back into history. It is not uncommon to find stiffened bodices in portraits of Venetian females around the 1530’s. However, the design evolved during the 16th century when the corsets pushed the cleavage upwards to shape the torso and give it a slim cylindrical shape. It was a norm for women to wear jackets and skirts with a bodice as underwear, by the end of the 17th century. During this period, the waists of women’s dresses went higher and resulted in shorter bodices; doctors begin to warn women against lacing their corsets too tightly. But the chic waist got back down again by the 1820's, and this is when corsets grew in popularity. Lacing islets featuring metal grommets became the norm in 1828, and a mechanism allowed the wearer to open and close the corset at the front with no lacing/unlacing. In the 1880's, pear-shaped corsets were common clothing accessories. 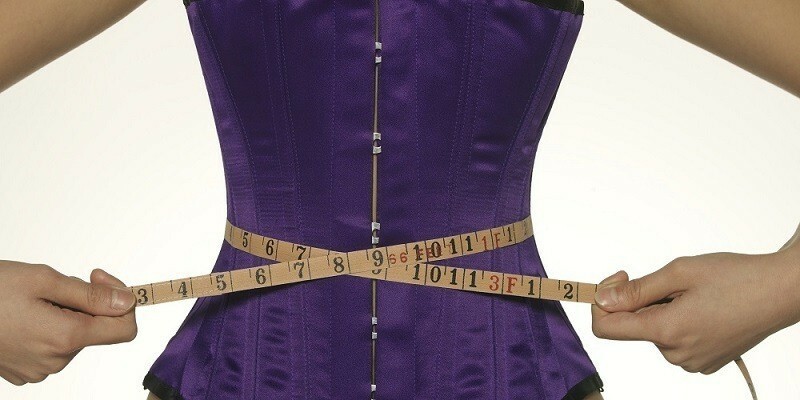 Previously, every corset was custom made to fit a lady's measurements. But, it was during the Victorian times that corsets were mass-produced, thanks to the technological advancements in manufacturing. Fashion evolved during the World War I and elastic replaced the tight lacing to provide more movement. As women showed more interest in the 1920's, the need for clothing that allowed more flexibility increased. The desired silhouette shifted from an hourglass to thinner figures and girdles produced out of plastic emerged. The concept was to control the hips and waist without constricting. Hence, the girdle was more popular through the 1940’s, instead of the corsets and bras were used for supporting the breast area. The punk movement brought back the corsets during the 1970's. Punks opted for old-fashioned lingerie as outerwear. Many designers also helped corsets to become a part of the mainstream fashion. Pop icons such as Cyndi Lauper and Madonna are often seen wearing several types of corsets in vibrant colors during the 1980's. Today, corsets and waist trainers are favorite items thanks to celebrities such as Kim Kardashian and Jessica Alba who have helped to bring back the waist training and corset craze. Corsets have seemed to be around for centuries. But quite a few controversies have been attached to the subject. Many health experts consider wearing a corset for achieving a smaller waist as risky. The opinion comes from the notion that traditional corsets featuring metal wiring tighten the size beyond what is natural for a human body. The effect could displace organs in the torso and causes breathing problems. Conventional models also caused significant harm to the ribs and spine. If you want to get the perfect body and look like your favorite celebrity, wearing a waist trainer for just a week is not going to get you your dream body. It is essential to choose the best waist trainer for your body by purchasing the right size. Do not fall victim to cheap products that are manufactured by fake brands and do not offer any noticeable results. You need to know your correct waist size for getting the best waist trainer and purchase a product that is a size or two smaller, with preferably three or more rows of clasps. Moreover, you need to wear it at least for one hour every day. Once your body gets accustomed to it, you can get the best out of your waist trainer by wearing it for four to five hours a day. It is crucial that you exercise during, before and after wearing a waist trainer to protect core muscles from atrophying. The waist trainer keeps the abs tight while keeping your back straight. It also allows you to sweat extra during an intense workout. However, you should avoid wearing the item during a high-intensity cardio workout. Healthy eating and regular exercise maximize the effects of a waist trainer. Physical fitness experts recommend wearing a trainer for at least thirty days as part of a weight loss program to accomplish visible results. Universal waist trimmers have gained massive popularity over time. Both the male and the female body respond to elevated core temperature and workouts. That means that anyone can use it to get rid of belly fat. The female body develops adipose tissue in the buttocks and hips whereas the male body accumulates fat on top of the abdominal muscles. Men can wear a waist trainer during weightlifting, bodybuilding, and light cardio exercise to add more sweat to their workouts. The result is a significant loss of water weight and depleted fat deposits to pack abs. The waist trainer also supports the lower back and abdominal muscles which are great for reducing the risk of muscle strain during an intense workout session. People who have previously experienced injuries also rely on a waist trainer to ensure maximum safety during exercise. The most reliable method of measuring yourself to purchase the best size is to measure the waist right above the belly button. Most waist trainer manufacturing brands also offer a size chart so you can find your corresponding measurement to purchase the most suitable size. Buying a size based on your weight and height can be tricky since everybody type holds weight differently than others. When in doubt, get one size up since these products are designed to fit firm and tight. Find your waist which is the fleshy section between your hips and the rib cage. Wrap the measuring tape around your waist and exhale slowly. Write down the measurement you get on the tape. Locate your waist size in the manufacturers’ measuring table and identify the corresponding size. You can also double-check your measurement by repeating the process twice. Now you that you know how to get the best size for your body, get ready to reap multiple benefits of wearing a waist trainer. Thanks to the heat-stimulating properties of a waist trainer, you can optimal results by wearing a good quality product for 8-12 hours. It is essential to check with your physical trainer or doctor before wearing the item for prolonged hours. Keep in mind that the results vary depending on the lifestyle, body type and diet of every individual. Again, we strongly recommend you to start out slow. Initially, wear the waist trainer for just a couple of hours every day before stretching up this period. Once your body begins to feel comfortable, you can prolong this time, and after 2-3 weeks, you won't even feel as if you are wearing anything additional underneath your dress. The key is to be consistent and stick to a routine. You can also give your body a break if you like and skip wearing it for a day. Women and men of all shapes and sizes have benefitted tremendously from a waist trainer. Here are a few benefits you can accomplish by wearing a waist trainer. If you fail to observe any noticeable results after two weeks of use, you have probably gotten yourself the wrong size. However, if you have purchased the best size for your bulging body, you are sure to observe visible differences in your waistline such as an instant slimming effect. Some people accomplish an hourglass curve at the waist that removes the muffin top and restricts your belly to stick out. There is no need to throw away your old skirts and pants. If you are looking for slimming up your waist up to 4 inches to fit into your favorite old dress, waist trainers serve as handy garments. Another great benefit of wearing the best waist trainers is to make the most out of your core exercises. A workout waist trainer quickly becomes an indispensable part of every fitness enthusiast’s gym gear. You get firm compression and more sweat to boost the outcomes of a vigorous workout. That's why it is a great idea to wear a waist trainer for strengthening the core. The accessory triggers thermal activity and increases the body's natural heat to let you sweat. As you sweat more in the stubborn parts of your body, you don't need to put additional effort to reduce fat from troubled areas. Women wear a waist trainer to increase the outcomes of various exercises including but not limited to walking, strength training, aerobics and running. If you are looking to lose weight or achieve a smaller weight, you can design your workout to accomplish your desired results. Working out with a waist trainer not only strengthens the core but also targets stubborn belly fat to get quicker results. That is the most overlooked benefit of wearing a waist trainer. Wearers are pleasant surprises to note that the use a trainer results in a better posture. Professional women and men who require sitting at a desk all day tend to slouch which poses risks to your shoulders and back. The compression forces the wearer to sit up straighter and offers more posture support. A corrected posture does wonders to improve the overall balance of your body, and you feel more comfortable to perform your daily life activities, be at work or home. The best gift you could give to a new mommy is a waist trainer. Since it helps women who have just given birth to restore their natural waist size, many celebrities have warmly embraced the trend to look as fit as ever. Tyra Banks, Carrie Underwood, and Kim Kardashian are all modern-day examples of how any woman can get back to her usual self after motherhood. A waist trainer is a waist-cinching garment to slim your waistline instantly. You should use it in conjunction with a healthy post-baby workout regime. New moms find this item the most affordable and effective solution to conceal the ‘baby pooch' during their weight loss journey. Since it also improves your posture, you get more self-confidence to eat well and work out with your gym buddies. The waist trainer offers the best results when you wear it for at least eight hours a day, after giving birth. You can start off by providing some gentle compression for the initial several weeks postpartum, before making a permanent switch to a firm compression for daily wear. Check with your doctor who is likely to examine the first swelling following childbirth to ensure that the trainer poses no harm to your body. Waist trainers also help people who are suffering from scoliosis and correct their postures. It also assists in making the back curve less pronounced. Scoliosis patients observe a significant difference in their body structure after regularly using a waist trainer. Another reason why you should opt for waist trainers is the fact they help steer you clear of frequent headaches. That is because the right posture prevents the nerves from the spine to constrict. Hence, the communication between the brain and spine becomes less obstructed to avoid the onset of migraines. Sometimes the only thing you need to get started is a bit of motivation to achieve your desired results. Purchasing a waist trainer is a one-time investment that goes a long way toward giving you optimal results. Sticking to a healthy diet and going to the gym every day requires self-discipline and a strong will to get back into shape. Wearing a waist trainer serves as a constant reminder to keep you committed to your weight-loss program and never makes you skip a workout session. As you begin to reap the benefits of a waist trainer, you find an easy to way to stay on track without succumbing to procrastination. Although waist trainers are proven ways to guarantee safe slimming results, some people may experience a few drawbacks. Here are a few disadvantages of using waist trainers. Some people can’t stand wearing a waist trainer since the garment is tied firmly around the waist. If you experience excruciating pain or discomfort after wearing a waist trainer, you have probably gotten the wrong size. Other signs such as shallow breathing, constrained movements and bruising signal that you have tightened the trainer too much. There is a sophisticated network of organs inside our body. If you wear a waist trainer while eating, the practice may interfere with the functions of the organs involved in digestion such as the intestines and the esophagus. A tightly fitted waist trainer reduces the waist size and exerts intense pressure on the organs, obstructing digestion. The resulting outcomes may include active acid reflux. Health experts recommended loosening up the waist trainer or removing it during meal time. Another drawback of wearing waist trainers for extended periods of time is a considerable reduction in your core strength. The abdominal core muscles get lazy since they heavily rely on the waist trainer for supporting them. Prolonged use of waist trainers leaves no room for your abdominal muscles to do any work and they are likely to get inactive. Other complications that could arise due to reduced core strength include pelvic floor and lower-back problems. Too much of a good thing is terrible, and waist trainers are no exceptions. Take a look at Catherine Jung who holds the world record for having the smallest size (only 15 inches). In reality, Jung's bones have reshaped because of continually wearing a corset, most of her life. Although, recent waist trainers are manufactured keeping in mind the safety of all wearers, taking the practice to an extreme may result in putting too much pressure on your bones. To add more life to your waist trainer, wash it every few days. Read the label and follow washing instructions that come with every product. When maintaining and cleaning your waist trainer, the first thing to remember is that washing the undergarment in the washing machine is a big no-no. Most of today’s trainers are manufactured out of latex and putting them in the washer can completely ruin your recent purchase. It is essential that you don't scrub your waist trainer with a hard material or a sponge. If you must use a cleaning accessory, make sure it has soft bristles. Once you hand-wash your waist cleaner using soapy water or a mild detergent, let it sit out for a few hours, so it dries. You don't want your latex waist trainer to rot, mold and discolor just because you don't wipe it the right way. Remember to store the product in a dry and shaded place away from direct sunlight. That is because waist trainers lose their color and shine when exposed to the sun for a prolonged period. Do not lay it on any other clothing when you hang it up to dry. Every waist trainer is a delicate item that requires gentle cleaning and a lot of affection. Treat it best by washing and drying it the right way and it continues to give you the reward you seek. The modern waist trainers have been in use for over three decades. Undeniably, waist trainers are one of the best affordable and simple ways to restore the shape of your body. If you have an hourglass body, you can thank your parents for it. But women and men who are looking for an easy way to get back to their original body shape find a waist trainer extremely helpful. Some men and women take steroids due to a medical condition. For such people, losing weight brings quite a few challenges. Wearing a waist trainer helps you lose weight and attain a better body. Not only a waist trainer provides you with instant results, but you also get a slimmer figure that boosts your self-confidence and gives you the motivation for accomplishing your weight loss goals. All in all, waist trainers can help you lose a lot of weight in a short period. And now that you know that be sure to check out our buying guide to buy the best waist trainer available in the market. Although, results may vary and depend on how often you wear a waist trainer; all products are tested to provide the best results in a short period.